Call it a tax: The Council voted to merge a fee and a tax it collects on its own utilities into a single tax. Of course, when it taxes its own utilities — those of the water, sewer and stormwater systems — it is effectively taxing the ratepayers of that system, as the cost is passed along. The city’s fee known as PILOT (payment in lieu of taxes) was created to charge the city-owned utilities because they are exempt from property taxes. Others have called it a “stealth tax.” In any event, now PILOT is dead, consolidated with the utility tax, thanks to the vote Wednesday. What that means: your utility bill will now include a 15.5 percent tax on water and 20 percent tax on sewer and stormwater, respectively. Councilman Roy Runyon pointed out that it raises a little under $5 million for city coffers each year. Both he and City Councilwoman Leslie Daugs asked if the utility tax could be placed, as a number, on residents’ utility bills. That question went unanswered. When Runyon pushed the issue, Council members Dino Davis and Greg Wheeler stopped him, saying the issue should be brought up before the city’s public works committee meeting as “housekeeping.” Davis and Runyon continued arguing until Wheeler, the Council’s president, was forced to go to the gavel to get them to stop. 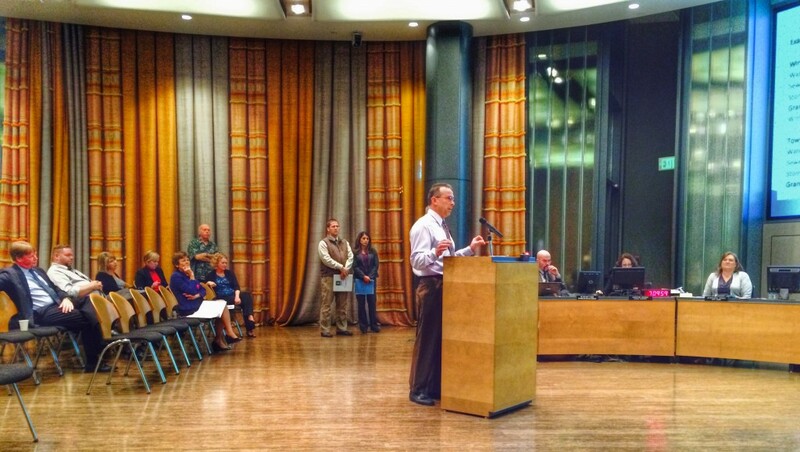 Joe Keller, an engineer for the city (pictured at podium above) voiced opposition to the plan, saying it placed a larger, inequitable burden on builders of single-family homes. City officials disagreed, saying the fees were fair by charging developers by what their developments would use. Daugs was concerned it could affect rates of home ownership in the city. City fees: Some city fees are increasing under the 2016 budget. 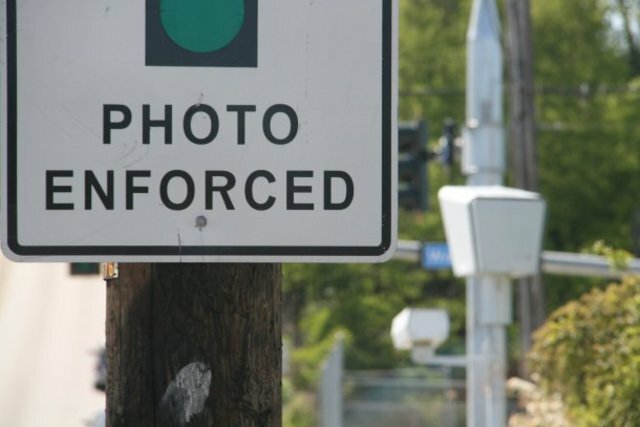 Red light tickets in 2016 will increase from $124 to $136. Parks fees are going up across the board. The fee for a grave site at Ivy Green Cemetery, for instance, will increase from $1,224 to $1,346. Wyn Birkenthal, the city’s parks director, said the increase was necessary to cover parks costs. Result: 5-0 vote in favor. Conference center debt extension: As revenues for the $1.1 million expansion of the Kitsap Conference Center have not materialized, the city asked the council to authorize extending out the debt on its $500,000 loan that helped pay for the project. The money was supposed to be paid back to the city’s $4.2 million vehicle fund in five years; now it will take until 2034. 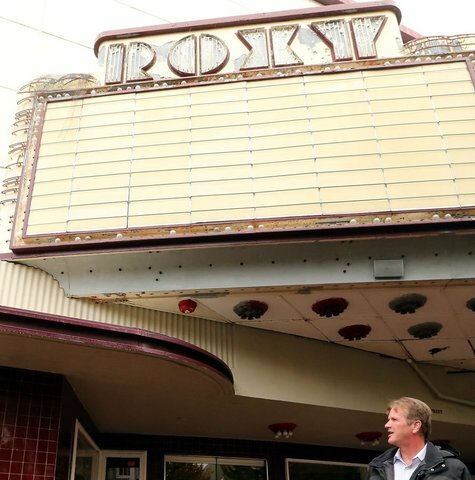 Federal block grants: The Council is close to completing its pivot from using its yearly federal block grant money as an open process to one specifically targeted to downtown redevelopment. Because two Council members — Jerry McDonald and Eric Younger — were absent, Greg Wheeler said the Council will wait to vote on the five year plan at a special meeting next Monday. Wheeler added he had to recuse himself from the vote because he serves on the board of Kitsap Community Resources, which is a possible recipient of the funds. The Council will also vote on the funding recommendations, which include $58,500 for Kitsap Community Resource’s BE$T program and its weatherization and home repair programs, as well as $235,000 to replace facades on two buildings and retrofit another on Fourth Street. The Council also heard from Wes Larson and Mike Brown, leaders of Sound West Group, which is hoping to secure that $235,000 to do the Fourth Street work. The budget: The Council held the first of two hearings on the 2016 city budget. Mayor Patty Lent’s budget’s largely “status quo” with few changes. The city will also be raising property taxes in the city by one percent, as is the maximum allowed under state law. The budget will be voted on in December. Washington Avenue: City Engineer Tom Knuckey announced some delays to the Washington Avenue project. The issue this time is that crews from Puget Sound Energy, which is putting much power on the street underground, got pulled away for Tuesday’s windstorm. They probably won’t be back on the project until after Thanksgiving. The project is still expected to wrap up by the end of the year, he told the Council. Lions Park: Parks staff announced the city will receive $250,000 to design reconstructions of the boat ramp and dock on the northern edge of Lions Park off Lebo Boulevard. I’ll have a story on that later this week. 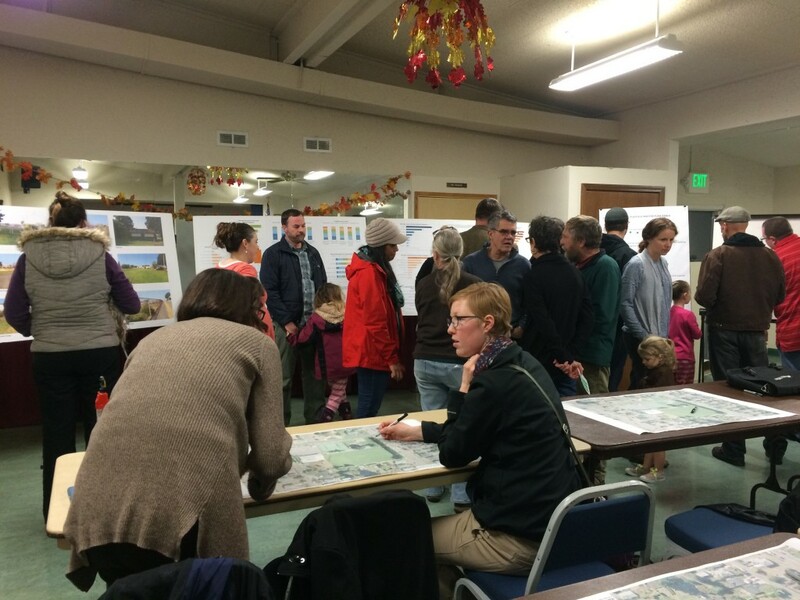 Manette Playfield: Tuesday’s public meeting to plan future developments at the park had about 40 people, parks staff said. (See photo.) A followup meeting has been scheduled for Dec. 15. Crownhill sidewalks: In its consent agenda, the Council approved an $88,000 contract that will design the new sidewalks doing to Marine Drive and areas near Crownhill Elementary School. Also, the city approved another $139,000 contract to design safety improvements at seven intersections in Bremerton next year: 11th and Montgomery, 6th and Callow, Burwell and Callow, Burwell and Montgomery, Burwell and High, Burwell and Chester and Sheridan and Wheaton Way. I call b.s. On Knuckey’s assertion that due to the wind storm PSE contractors are falling behind. I came home early last Thursday, Potelco crews (PSE contractor) were calling it a day at 1:30. Jane, what time did they start in the morning? Were they heading home, or going to a service call somewhere? Maybe they can’t start a new section unless they are able to finish it that shift. I can see many safety problems if they leave in the middle of pulling down a section of wire and leaving it for the morning. Jeff I am quite certain that they did not start before 5:00 a.m. PSE has been holding up completion of this job, commuters and adjacent businesses have had enough. Finish the job and reopen the sidewalks and streets. Washington Avenue – Grant City has a very difficult time completing projects on time or on budget. Bremerton cares not for most of the city beyond milking higher tax revenues for escalating city cost and further funding their downtown lunch stop obsession around their fancy offices. How many more decades and hundreds of millions before it’s considered good enough? It’s interesting that the focus continues to be in Lent’s corr area, while rest of Bremerton continues to deteriorate, and sewage continues to be pumped into the sound, even though taxes and fees continue to escalate. Reminds of the feudal days when the castle was always a showplace, while the serfs made do with huts. Look around town and you’ll see what I mean. Too bad Lent can’t see it.